104mmx38mm Vertical Bail and BBackplate Pull The Liberty Mission Style 4 in. 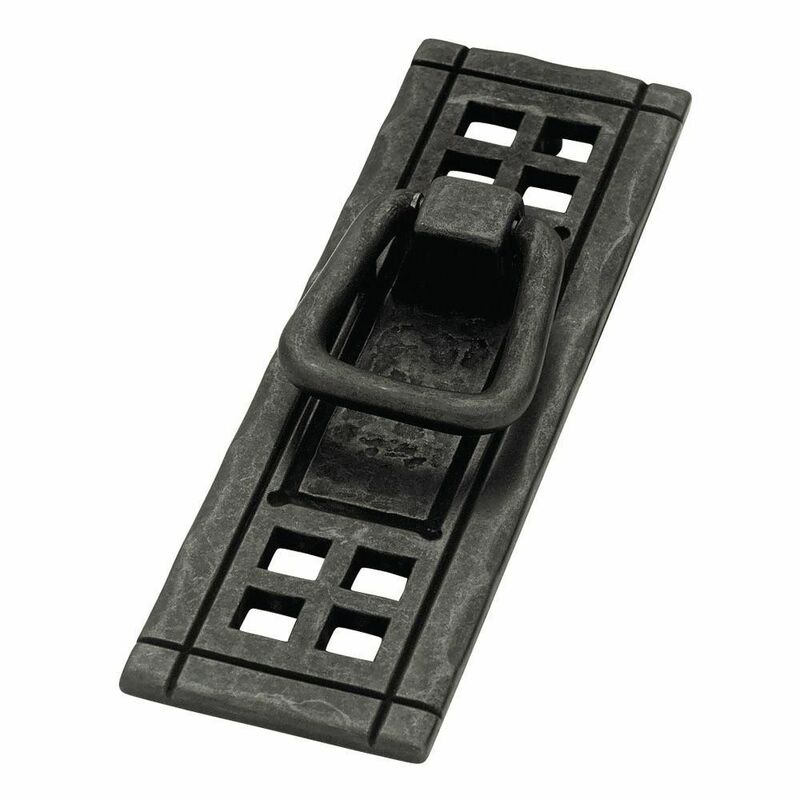 Flat Black Vertical Bail Pull with Backplate offers a decor-enhancing accent for use with existing cabinetry and furniture. A simple change can make a huge impact on the look and feel of any room. Change out your old cabinet pulls and give any room a brand new feel. 104mmx38mm Vertical Bail and BBackplate Pull is rated 4.6 out of 5 by 69. Rated 4 out of 5 by Buckgirl from This product was great for our project. We bought new cabinets and lighting for an older cottage ... This product was great for our project. We bought new cabinets and lighting for an older cottage style home, so to get back some of the charm, these handles were the right solution. Thanks, it turned out great! Rated 5 out of 5 by Lady from Looked all over for kitchen pulls with a back plate and the ones I found were so expensive. These... Looked all over for kitchen pulls with a back plate and the ones I found were so expensive. These are just what I was looking for. The quality is amazing and the price was so reasonable I had to give them a try. Boy am I glad I did. Just love them. Rated 5 out of 5 by HomeDepotCustomer from love the weight and style!!... love the weight and style!! Rated 5 out of 5 by panache from Very nice rustic pull with a forged look. It changed and updated the look from a 1960s "French"... Very nice rustic pull with a forged look. It changed and updated the look from a 1960s "French" look to a more current and rustic and craftsman look. It is a small investment with a big effect.